I wrote a few things for Above the Law on the Supreme Court (here are links to my coverage of the Fair Sentencing Act, Williams v. Illinois, and the Stolen Valor Act). I also represented some folks as a part of my day job (for some reason, much of my summer was spent representing people in white collar investigations instead of indicted cases – I’m not sure why). I hope you were able to find another place to find high-quality, yet light and jaunty descriptions of federal criminal appeals these past few weeks. 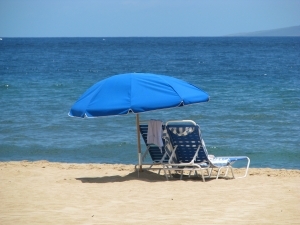 Alas, from the blog’s perspective, I consider my summer vacation to be over. Second, many an astute reader has reached out to let me know that, ahem, I’ve missed a few cases. It’s true. Since, perhaps, the early spring I’ve fallen short of writing about every reported decision where a defendant wins (even before my summer break). Too many people have their cases remanded for a completely uninteresting (to anyone else) problem with a supervised release condition, or a guidelines issue that should have been completely obvious, or because Booker requires every defendant in a criminal case to receive probation (that last one is something I heard in a jail the other day – it may not be the law (though soon it won’t matter because any minute now Congress will approve the 65% good time credit law)). So, to be clear, I’ve been curating which cases I write about for a while. And I’m likely to continue. I suppose you may not care – if you’re reading this blog for comprehensiveness you’re on a quixotic errand from the jump – but it is a minor adjustment to what I’ve been saying I’m offering. Going forward I’m likely to skip some of the cases I used to spend serious time with – like those Special Assessment wins. And, as always, if you have comments, please leave them or feel free to email me.